Aside from the Galaxy J5, the Samsung Galaxy J7 2016 edition is also now available in the Philippines thru SM Appliances. It's one of their newest offering that touts several improvements over its predecessor. To refresh our minds, the J7 2016 features the signature Galaxy S series look and 5.5 inch HD Super AMOLED screen. What's highly interesting here is it touts the new 14 nm 1.6 GHz 64 Bit Exynos 7870 octa core processor paired with Mali T830 GPU which is pretty powerful for the price. That chipset setup could be powerful enough for heavy gaming even if it only has 2 GB of RAM. It also has 16 GB expandable ROM and large 3,300 mAh of battery capacity. Another strong selling point of this handset is it has a 13 MP f/1.9 w/ AF and LED flash, LTE connectivity, NFC and loads Android 6.0 Marshmallow OS w/ TouchWiz UI on top. 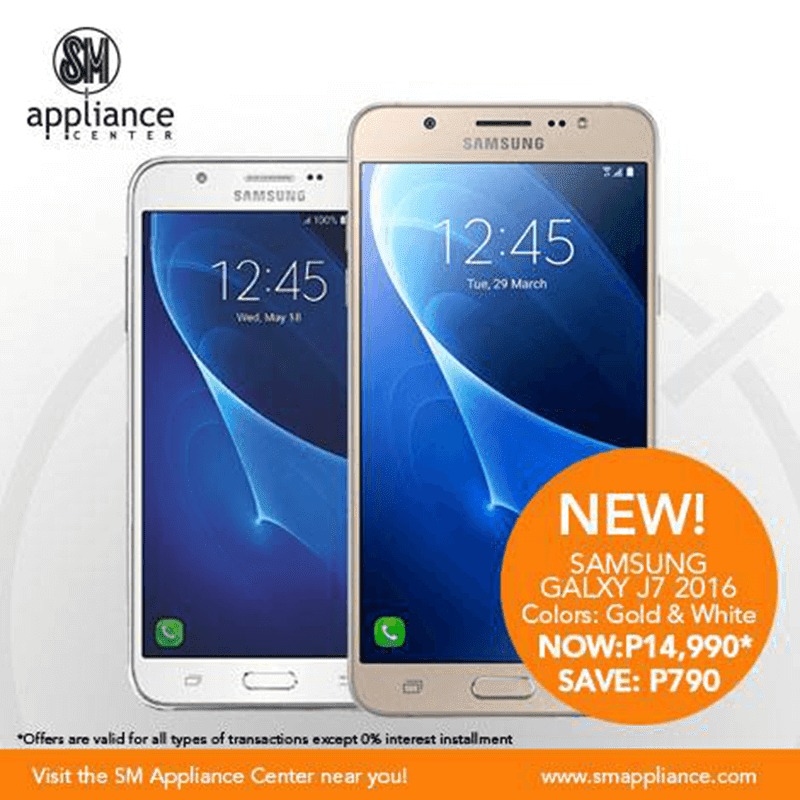 The Samsung Galaxy J7 2016 retails at just 14,990 Pesos only which is available at SM Appliance stores nationwide.